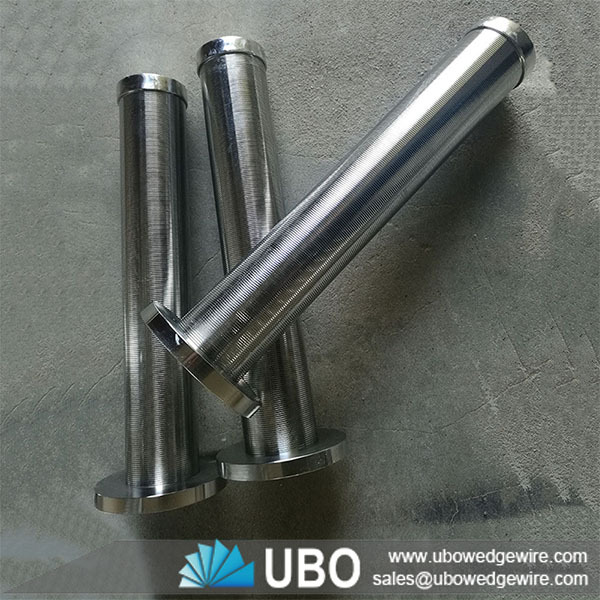 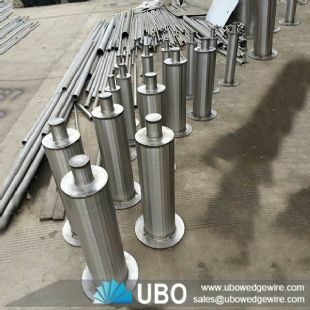 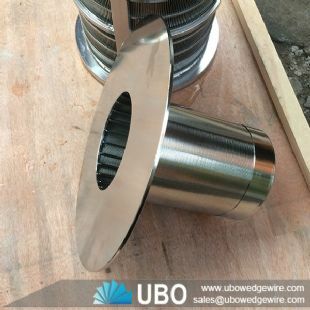 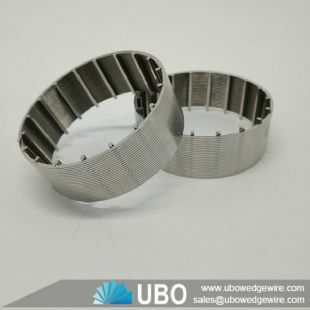 Stainless steel Johnson wedge wire wrapped resin trap screen with flange are made of stainless steel wedge wire screen. 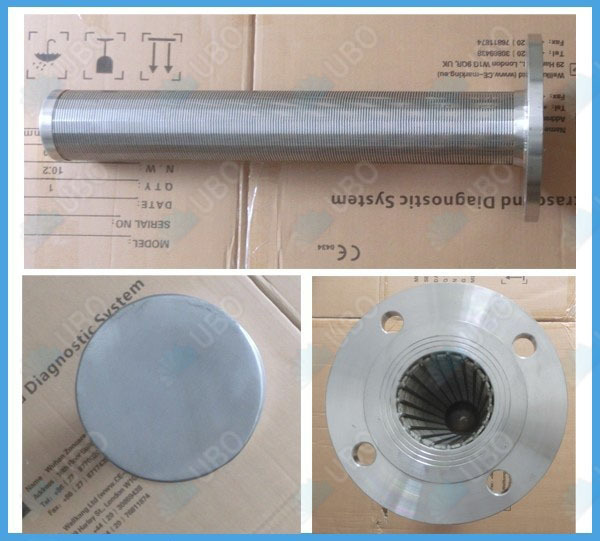 Filter rating is from 30 to 80 microns. 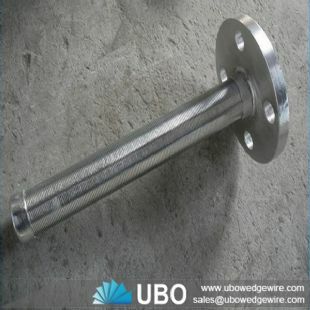 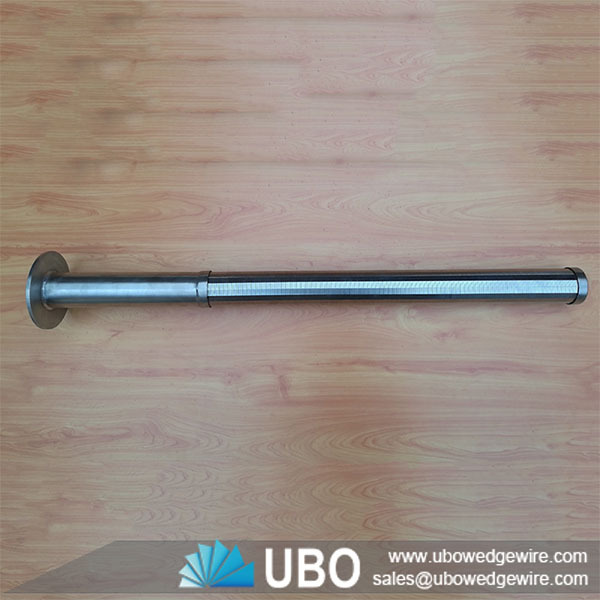 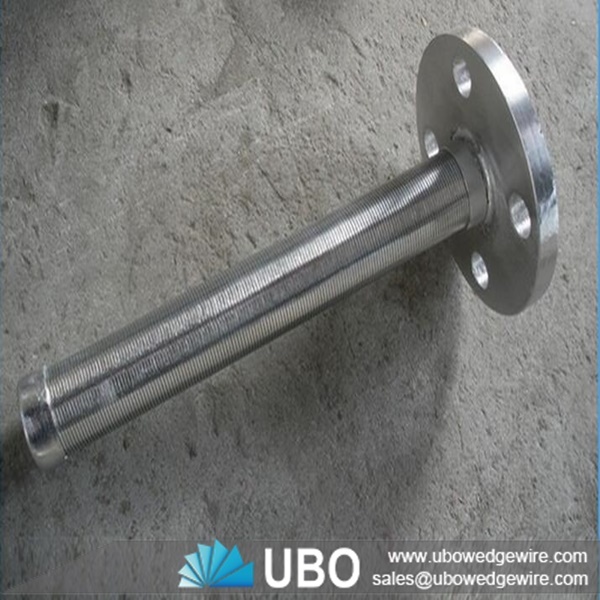 Wedge wire resin trap screen is welded onto rods with stainless steel wedge wire at every contact point. 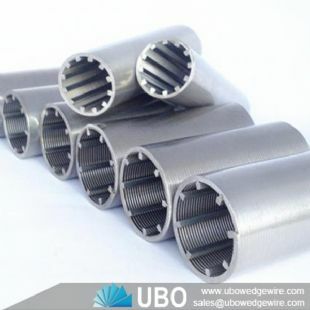 They are classified into filter sheet, filter basket and filter elements. 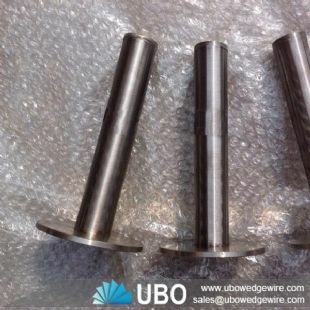 They have such characteristics as good strength, high ridity, resistance to abrasion and corrosion, even gap, good in filtration and fluidity, easy to clean and back wash.
Wedge wire screen filter elements are used in sieving of petroleum, chemical industy, pharmaceutics, food and beverage, metallurgy and coal, also can be used in filtration of water treatment.